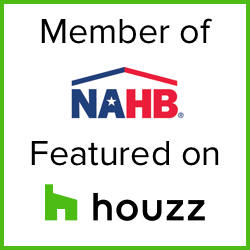 Shawn founded Alleanza Custom Homes in 2007 and has always based his business on trust, transparency, and excellence. Shawn understands that building a custom home is a lengthy process which requires significant emotional and financial decisions, and helps guide clients through the process in order to make the process as exciting and successful as possible. As a proud parent of two, Shawn is able to relate to many of his client’s concerns about building a custom home and supports their efforts to build a house which will fit each of his clients’ distinct lifestyles. Shawn is family-oriented and enjoys spending time playing with his family and watching his local favorite sports teams with family and friends. Shawn is also a licensed real estate agent and passionate about all things Real Estate. Tiffany graduated from the University of Houston with a degree in Accounting and has worked with major companies such as Deloitte, AIG, and Valic. Tiffany has been a financial advisor for over 10 years, and holds real estate and insurance licenses. Clients have come to rely on Tiffany’s ability to efficiently explain the financial aspects of their properties and what they need to be aware of in terms of financial expectations and surprises when it comes to their properties and their investment portfolios. Tiffany’s business background is invaluable to the Alleanza Custom Homes team. As a parent of two, Tiffany enjoys spending her free team with her family, cooking, and working out. Belly graduated from the University of Houston with Finance and Marketing degrees and a Masters degree in accounting. 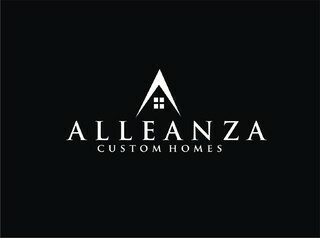 Prior to joining Alleanza Custom Homes, he had worked as a public auditor and a financial analyst for major companies. His education backgrounds allow Belly to oversee all of the operational logistics and office management at Alleanza Custom Homes such as bookkeeping, budgeting, scheduling, purchasing, as well as client and vendor relations to ensure a smooth home building process in the office and out on sites. In his free time, Belly enjoys working out and can be found leaving reviews for restaurants, hotels, and other services that he has used on Yelp. Hazel graduated from the University of Houston with a degree in Finance and Management. Over the past 10 years, she managed major projects for large companies such as Reliant and Direct Energy to manage their long-term strategic initiatives for Invista/Koch industries. Her strength lies in simplifying processes and her passion lies in home design. Hazel’s position at Alleanza allows her to assist clients navigate through the home building process and to help ensure they have a fun and positive experience. In her free time, Hazel loves to travel with her two young girls and her husband. They also enjoy exploring the different events around our growing city. Carlos brings extensive construction and remodeling experience to Alleanza Custom Homes. He specializes in electrical systems, plumbing, sheetrock, tile, and paint. He also works closely with the contractors and vendors to keep the building process running smooth and efficient. In addition to being bilingual, he is knowledgeable in all facets of building a new construction and home maintenance. Carlos graduated with a degree of business management from the University of Houston-Downtown and his education and experience allow him to combine his expertise in construction with a careful financial oversight, which allow Alleanza Custom Homes to build the house of your dreams in a more economical way without sacrificing quality. In his free time, Carlos enjoys running and playing and teaching soccer. Steve has been in the building business for over 40 years. This has given him the opportunity to have hands on experience benefiting clients by providing solution based onsite leadership. He has been involved in projects ranging from custom homes for an NBA player to major restorations of 1800’s Victorian mansions. Steve enjoys outdoors including spending time in the mountains, camping, fishing, and hiking. Steve also is an avid bird watcher and fan of the Kansas City Chiefs. Click to type your awards here.